The Kala﻿ni will bring your baby through from infant stage to teen years in its crib, toddler bed, daybed and full-size bed convertibility. 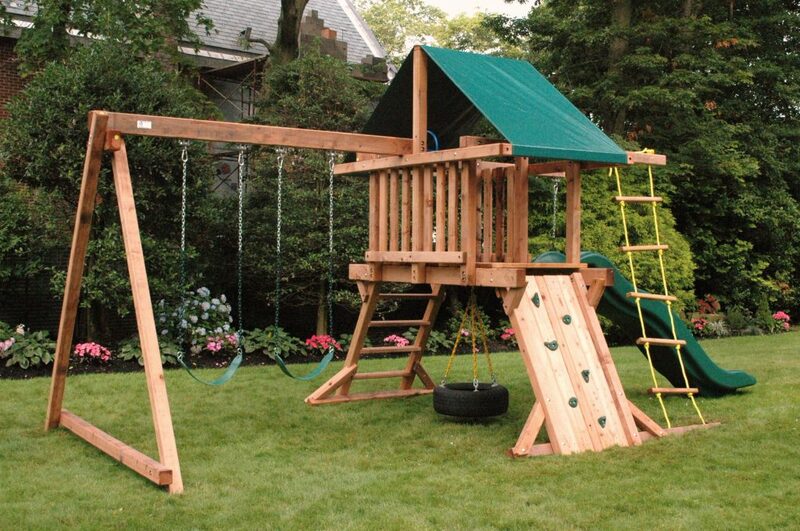 It provides 4 levels of mattress support so that you can adjust the mattress height according to your baby’s growth. The lower profile crib is designed for your comfort so that you can reach your baby easily. 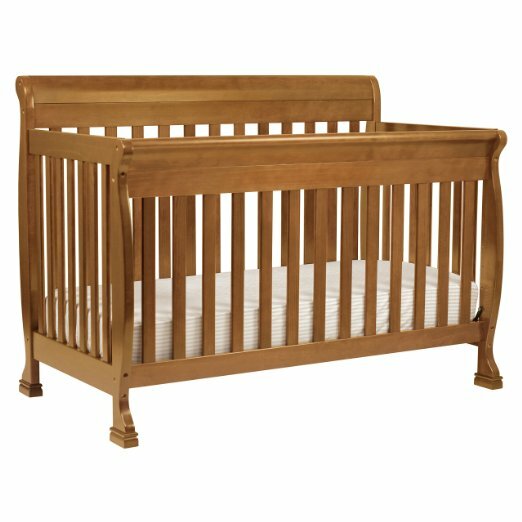 The Kalani is constructed from New Zealand Pine grown in sustainable forests so you can be sure the crib is strong and sturdy. Finishes are done in a non-toxic, multi-step painting process and it is lead and phthalate safe, align with the brand’s environmental sustainability and energy efficient values. The GREENGUARD Gold Certification ensures that the crib is low-emitting and therefore contributes to better indoor air quality. As seen from the chart above, all DaVinci products, including the Kalani, surpass ASTM/CPSC Standards. We are not exaggerating when we say the Kalani is an award winning baby crib. 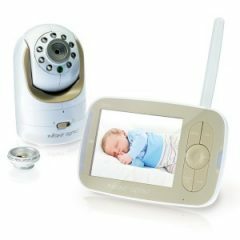 It has been ranked by leading and impartial consumer guides as the safest products on the market, and is also recognized for excellence by Baby Bargains, Baby Center and She Knows Media. Available in 6 colors – Espresso, Cherry, Chestnut, Ebony, Honey Oak and White, there is bound to be one that tickles your fancy. Except for Espresso, which is approximately $15 more, all other colours are priced the same. Toddler rail is included but you will have to buy the crib conversion rails separately (to convert crib to full size bed). Given that this item is eligible for free replacement parts, it is no wonder most users commend that it is a worthy and value buy for how much they paid. 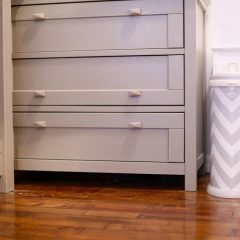 If you like the picture above, good news, the Kalani has a matching 3-dra﻿wer changer that will complete your nursery! 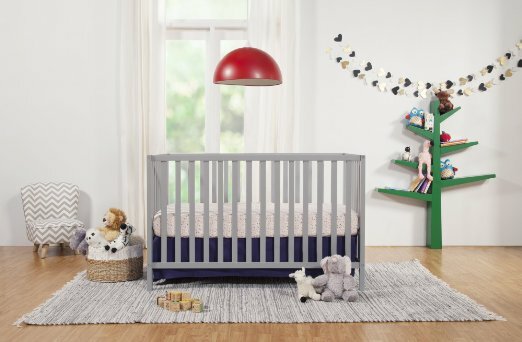 It also comes with an array of colour selection for you to match with your selected crib colour. This 2-in-1 dresser/changing table has a top station with safety strap and changer pad included for you to change your baby. The three large drawers below ensure you have plenty of room to store your baby’s supplies. This 2-in-1 item is truly a money and space saver! 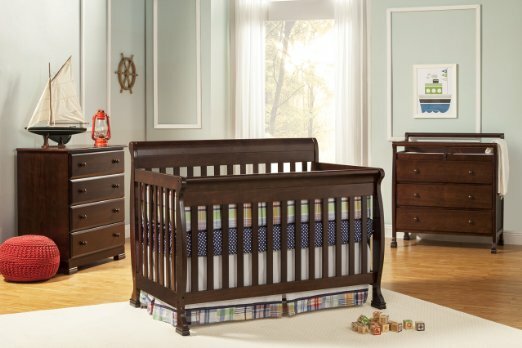 Parents usually buy this crib together with a perfect-fit crib ﻿mattress​ and waterproof mattress pad cover so that they can set up the crib immediately without having to source for other mattresses and covers that may not fit.